Sleep is important – to everyone in your household. You’ve heard the advice, “When baby sleeps, you sleep.” It sounds great but the reality is that often you can’t drop everything to take a nap. And the more you don’t sleep, the more at risk you are for depression, attention and memory issues, daytime sleepiness (which can pose safety risks for you and baby), falling, and increased long-term health risks like obesity and diabetes. A recent survey revealed that a majority of new moms wished they had more help or a second “me.” While family and friends may offer to help, they don’t mean all night, or for weeks at a time. The solution – one that allows both mother and baby to maintain healthy, natural sleep schedules – is Sleep Well. Our trained Care Specialists help out as if they were a second (well-rested) you. Even during the night. Psychology Today reports that night waking is completely normal in all babies. Even past the six-month mark. The report counsels that new parents should choose to live with it rather than trying to fix it. Some suggestions include making breastfeeding at night easier and less intrusive for the baby and learning gentle strategies for calming babies – two of the services provided by Sleep Well. 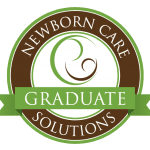 We can help you get through the newborn period – and frequent feedings – and get the zzz’s you need to get back to feeling like yourself. Your sleep cycle takes about 90 minutes and repeats four to six times per night, with the most restorative sleep occurring earlier while more dreaming takes place as the night wears on. That dream part is responsible for cognitive function and clear thinking. Babies, on the other hand, have a different sleep cycle, one with significantly more dream time and cycles that last just 50 minutes. Having an extra set of hands – to bring baby to you at night for feedings, or to allow you to sleep until you wake naturally – is the start of brighter days and clear thinking. Sleep Well makes it happen.